Last week Scratch Academy celebrated its ten year anniversary with a party that honored pioneers like Kool Herc, Qbert and A Trak. While this milestone is significant for any small business, it is particularly notable for nightlife culture because the evolution of DJ’s over the past forty years, and especially in the past ten years, has been radical due in part to the efforts of institutions like Scratch. At the same time, the rise of professional DJ’s has altered the landscape of both music and nightlife to levels that were unthinkable when the art form was created. DJ’s as a distinctive part of nightlife began in the Bronx in the mid-1970s. This was when the records played at house parties and block parties became individual performances infused with the personality of the people playing the records, instead of the basic radio practice of simply playing one record after another. The influence of West Indian celebrations, specifically dancehall toasting (chanting or talking over a steady beat) were combined with R&B, disco, funk and soul to create a distinct new sound. Grandmaster Flash came from Barbados to the Bronx and in both environments he was exposed to Caribbean and black music in a seamless and integrated fashion. Along with Kool Herc, Flash was a pioneer of cutting and looping songs in real time to create a distinctive new sound. He created this music without instruments around the same time that another pioneer, Grand Wizard Theodore, discovered scratching records as a musical technique. DJ’s began to emerge as vital components of hip hop and house at this time, but for many years it was difficult to acquire the skills needed to be a great DJ. Between the 1970s and the late 1990s, there were only two proven methods of learning; self-study and apprenticeship. Self-study involved purchasing expensive equipment and spending months or even years discovering the basics of mixing and scratching. It took an even longer period to develop advanced skills build the respectable record collection needed to perform in public. Apprenticeship often involved finding an established DJ, carrying his crates, passing out flyers or doing some other menial task in exchange for knowledge on how to work the turntables. While there were many exceptional artists that learned using these methods, it was not a universally effective approach. Many potential DJ’s never gained the skills or confidence they needed to leave their bedrooms and perform in a nightlife setting. 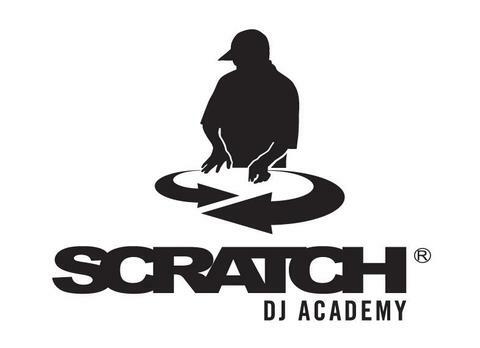 In 2002, entrepreneur Robert Principe partnered with the legendary DJ for Run DMC, Jam Master Jay to create Scratch DJ Academy. With the assistance of other prominent DJ’s, the two men created a formalized structure for learning the basic technical skills of being a DJ. They reduced the time it took to learn basic DJ skills from several years to several weeks. With this new streamlined training, the number of professional DJ’s increased dramatically in a few short years. While Scratch Academy made DJ skills accessible to everyone, technology broke down the barrier of musical acquisition and manipulation. In the early years of DJing, part of the craft included finding and acquiring all the various songs needed to perform a set. Many DJ’s secured thousands of tracks by making pilgrimages to record stores, auctions, record labels and other obscure sources. When it was time to perform, they piled dozens of crates into vans. Each DJ had some kind of filing system that would allow them to find and play any song they needed, in the dark, at a moment’s notice. During this time period, a DJ lived and died on the strength of their record collection. With the development of MP3’s and programs like Serato and Ableton, finding and deploying music was no longer a monumental quest. Tens of thousands of songs can fit on a thumb drive. Every aspect of every song can be catalogued, sorted and selected by a DJ in real time. Many tricks that traditional DJ’s spent months learning are now simulated with the touch of a button. If DJ schools lowered the barrier to entry, technology removed those walls completely. As DJ skills become easier to acquire or simply simulate, it has created an undercurrent of ambivalence within the DJ community. Many established DJ’s feel the craft has been diluted into mediocrity because anyone can show up at a party with an iPhone and claim to be a DJ. There is also a feeling that the ease of access to music has created a generation of DJ’s who do not have the same passion and relationship to music that the pioneers maintained. Finally, many see a lack of innovation and individuality within the art form as many professional DJ’s all play the same music within tightly controlled genres. Training and technology have produced more DJs at a pace that is much faster than previous years, but this has not always been for the best. Regardless of your position on the quality or quantity of modern DJ’s, it cannot be denied that the evolution of DJ’s has reshaped nightlife culture in the past thirty years. Live music venues have given way to discos, mega-clubs and niche market lounges all driven by the music performed by DJ’s. Relatively new music genres including hip hop and house dominate the popular music scene and both those genres come primarily from turntables, not musical instruments. All of the DJ’s from Kool Herc to the latest graduates from Scratch Academy are now in a position to influence not just nightlife culture but popular culture itself.